This extension allows you access system gesture controls. 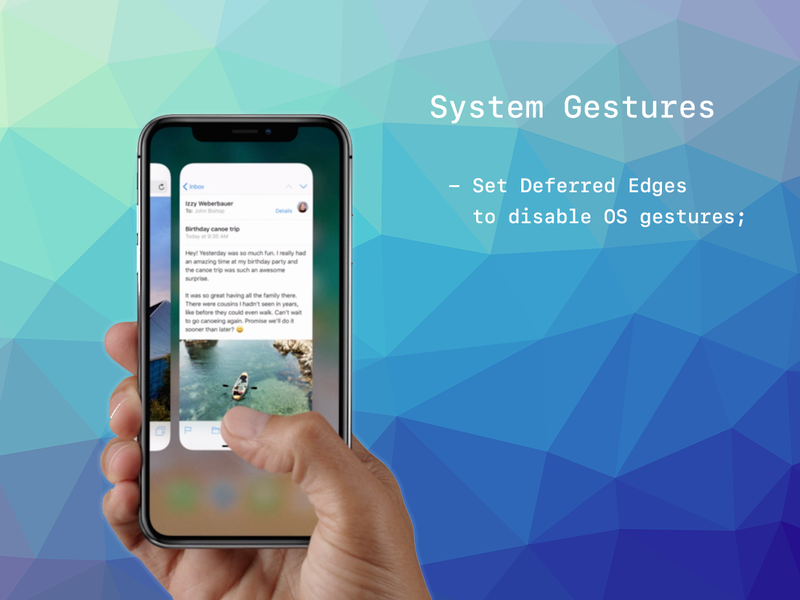 The simple API gives you easy access to system gesture events and controlling edge gestures in modern iOS devices. Defer screen edge gestures to allow your immersive application access to edge gestures. Additionally tvOS remote support allows you access to swipe events on the touch area along with the common button presses. Detailed documentation will help you through the integration in your application. Post gists on GitHub and include the ANE ID (com.distriqt.SystemGestures) in the file to have your snippet listed here.